We have experience you can count on answering and managing calls in the Medical Business – doctors, hospitals, clinics, outpatient centers, etc. "In the time we have used Pittsburgh Telephone Answering Service Company we could not be happier with the level of service we have received. In working with other companies in the past years, we have found your company to be at the top of the game. Your staff is extremely efficient, friendly and helpful to us as well as our patients. We really appreciate and look forward to many more years with you." Having worked for many years as a medical answering service in Pittsburgh, managing calls for medical professionals and others providing healthcare products and services, we understand the importance of every call you receive at your Pittsburgh physician office. 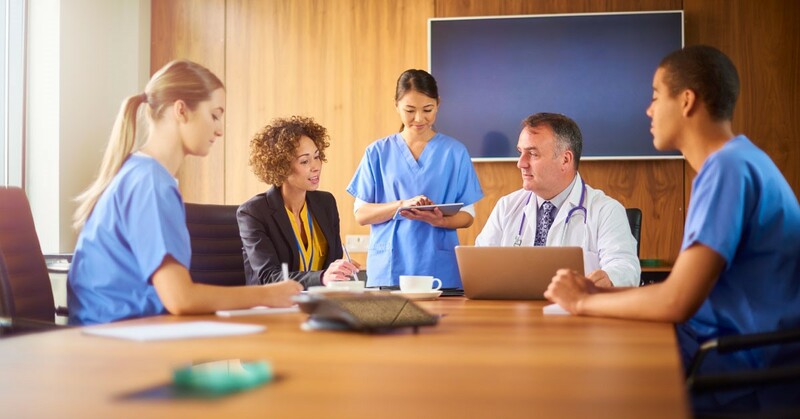 Our medical answering and scheduling service is designed to be effective and efficient specifically for a variety of businesses in the medical industry in the Pittsburgh area. Information that is protected under HIPAA rules and regulations remains protected by our team of highly-trained operators. As a physician answering service in Pittsburgh, we understand the law and how it applies to you and your patients. Every effort is made to ensure compliance with HIPAA including the use of an encrypted messaging app. Handling everything from simple patient calls to STAT calls and code blue emergencies, we prioritize like your Pittsburgh physician office does. All emergency calls are urgently relayed to the correct on-call medical professional. Routine calls receive the same professional treatment, but without the same degree of urgency. We route these calls according to the medical professional's exact specifications. As the premier medical answering service in Pittsburgh, you can count on our professionals to exceed your expectations. Each of our medical emergency telephone dispatchers and our medical business operators have been trained specifically for the industry they serve. They are attentive, efficient, and tuned into the needs of patients and medical business customers. As a physician answering service, Pittsburgh Telephone Answering Service believes in ongoing training for our operators to make sure each operator is prepared to handle every kind of call. You can also customize exactly how and when you would like your messages delivered to you, whether that’s by voicemail, text message, email, or another option. Perhaps you want your messages delivered to you instantaneously, or perhaps you want only one daily update. Whatever your preference, our physician answering service operators in Pittsburgh provide that customization for your medical practice. Patients, clients and potential clients don’t have to wait on hold or call back multiple times in order to talk to someone in your office. Instead, a live medical answering service operator will respond to every call within a few rings. This kind of immediate, attentive service shows your callers that you care about them and their time. This leads to satisfied patients and clients, along with new patients and clients - plus increased revenue. Pittsburgh Telephone Answering Service works with a wide variety of businesses in the medical industry throughout Pittsburgh. Below is a listing of some of the businesses we have experience working with and some of the services we can provide as an answering service for doctors and businesses in the medical industry in Pittsburgh. Schedule Appointments and call patients to remind them of upcoming appointments. Are you looking for a physician or medical answering service in Pittsburgh? Are you an office manager comparing services provided by answering services for medical practices and doctor’s offices in Pittsburgh? Pittsburgh Telephone Answering Service is here to provide you with peace of mind and your patients and their family members with the professional care and attention they expect and deserve when calling a physician’s office in Pittsburgh.